IBADAN—CONTRARY to insinuations that Human Immunodeficiency Virus, HIV-positive persons are liable to die early in life, a Sub-Editor with The Nations Newspapers, Mr. Frederick Adegboye, has recounted how he has been able to manage the infection effectively since 2003. He gave the revelation during a two-day workshop by Oyo State Agency for the Control of AIDS, OYSACA, on HIV/AIDS awareness, reporting and communication for media practitioners in the state. 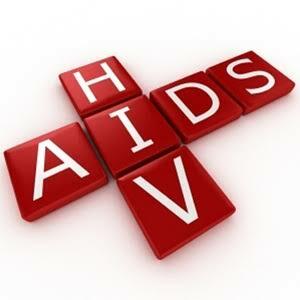 Delivering papers entitled Appropriate Expressions in Reporting HIV and AIDS as well as Acronyms and Full Meanings of AIDS-Related Words and Institutions, Adegboye disclosed that the stigmatisation of people living with the infection caused more harm to them than the infection. In his words: “When I was diagnosed to be infected with the virus, the first thing I did was to summon the courage to defeat self-stigmatisation. This courage gave me strenght to triumph over other forms of stigmatisation. “I disclosed my status and commenced treatment of the infection which has to a large extent suppressed the effectiveness of the virus in my system,” he said. Adegboye further narrated how he won a battle of stigmatisation with an institution when he gained admission and was nearly denied it based on the disclosure of his status. He commended the management and staff of The Nation Newspapers, saying that he never suffered any form of stigmatisation in the media outfit since he joined their services. The media practitioner said HIV was an illness that could be treated and managed effectively, pointing out that there are other various illnesses which were more life-threatening than HIV. Adegboye, however, cautioned media practitioners on the use of inappropriate words and terminologies in reporting HIV issues, saying such stigmatises the infected persons and make their situation worse, adding that they should keep themselves abreast with terminologies and appropriate words to use in reporting HIV/AIDS issues. He encouraged the people to regularly check their status, while those infected should commence regular treatment without succumbing to stigmatisation. His words: “HIV is a treatable illness and not a death warrant. People living with HIV can bear children without the children being infected.